Scam Option is the best place for investors and day traders to research Forex, Crypto Currency and CFD brokers. New and Experienced Investors in Forex and Crypto Currencies, will find updated and accurate reviews of the best brokers for trading Forex. It is a known fact that there are more than 1,000 Forex brokers to choose from, and only a handful of them are actually legitimate, licensed financial institutions. The risk of opening a trading account with a scam broker is very high. Depending on which country you live in, determines which broker is the best one for you. When we research and compare brokers, the way to determine the legitimacy of the broker, is by their regulatory status. Meaning, does the broker have a valid forex brokers license. Forex Brokers in the United Kingdom must have a license from the FCA,while brokers in Australia, must be licensed by ASIC. It is important that you always verify and confirm with your local government licensing website, that the broker has a valid license. 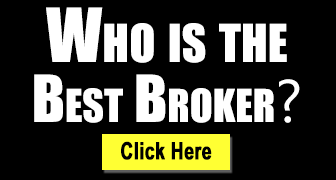 Look at the best Forex brokers. The purpose of an “Expert Advisor”, trading robot, or automated trading software, is to act like a computerized money manager. There are hundreds of automated trading apps and robots. Most of the “secret systems” you hear about from Facebook ads, are actually elaborate scams to steal your money. To properly compare a trading signals service or trading robot, a trader must first be able to test out the service. Many signal services force you to deposit money into your trading account before letting you see the software and signals. No matter how much you believe in the software, you must be sure you are only using a legal and regulated Forex broker. Does the broker have a license? What are the spread they offer, and which assets are available. Is the trading platform user friendly? Is the Brokers customer service friendly or pushy? Many traders make the mistake of opening an account with a broker that was recommended to them by an infomercial type advertisement they saw. There are many untrustworthy brokers, that use clever marketing gimmicks and fake trading robots to lure unsuspecting investors. Make sure you do your homework, and verify that your broker has an active license from your local governments financial regulator. There are many different trading platforms that Forex brokers use besides the standard Meta Trader 4 or MT5. Every CFD broker also makes available to their investors a web based trading platform. There are a handful of brokers that offer their own custom trading platform. Either the trading platform is developed by the broker, or the broker uses a “white label” software from a company like TraderSoft, Scipio, Panda, AirSoft, TradeSmarter or Tradologic.